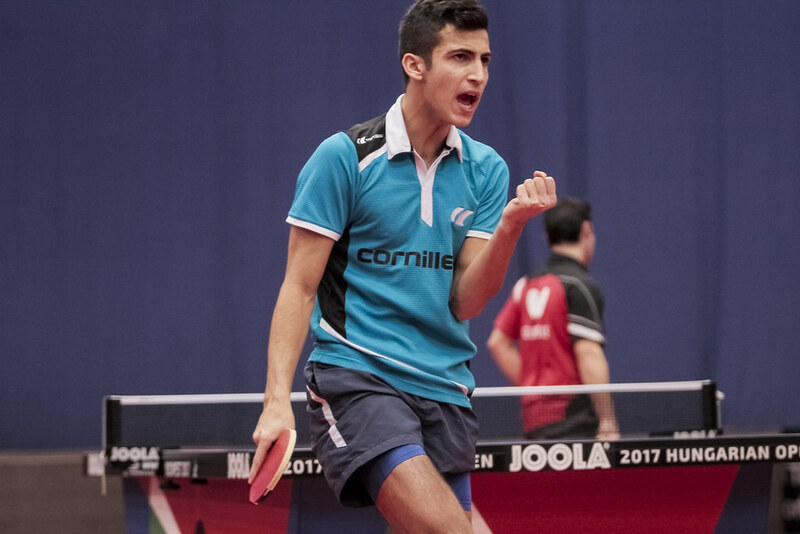 Silver medallist just over one year ago at the 2016 ITTF-Latin American Championships staged in San Juan, Puerto Rico; Ecuador’s Alberto Miño was one of four players to attract the attention as play commenced in the qualification stage of the Men’s Singles event, on Tuesday 17th January, at the Seamaster 2017 ITTF World Tour Hungarian Open in Budapest. A reason he caught the eye was because he accounted for one of the host nation’s hopes. Now 26 years old, the young man from Guayaquil who, in recent years has been on duty for the celebrated German club, Zugbrücke Grenzau, beat Peter Fazekas in five games (11-8, 7-11, 11-8, 11-7, 11-3). The reason the other three players caught the eye was very much owing to their heritage; China. Liang Jinkun, Shang Kun and Liang Jinkun all impressed and underlined the fact that, not only are they contenders to secure main draw places; also they are major challenger for the title itself. Notably, the last occasion when Shang Kun appeared on the ITTF World Tour, in Japan in June 2015, he achieved what everyone in 2016 found just about impossible! In the second round of the Men’s Singles event he beat Ma Long (11-8, 11-7, 11-7, 5-11, 11-8). In Budapest, Martin Allegro suffered a similar fate (11-3, 12-10, 11-9, 11-6); at least the 20 year old from Belgium can say that he has something in common with the reigning Olympic and World champion! Meanwhile, similar to Alberto Miño, Yan An caused Hungary pain by beating Adam Szudi (11-6, 11-7, 8-11, 7-11, 11-3, 11-3), whilst and Liang Jingkun overcame Frenchman Mehdi Bouloussa (6-11, 14-12, 11-9, 11-9, 11-5). Two defeats for the host nation but there was one win that stood out; impressively Daniel Kriston accounted for Australia’s Heming Hu (11-8, 11-7, 11-8, 11-2). None of the leading names in the qualification stage of the Men’s Singles event was required to compete in the opening series of matches; they enter proceedings in the second series.